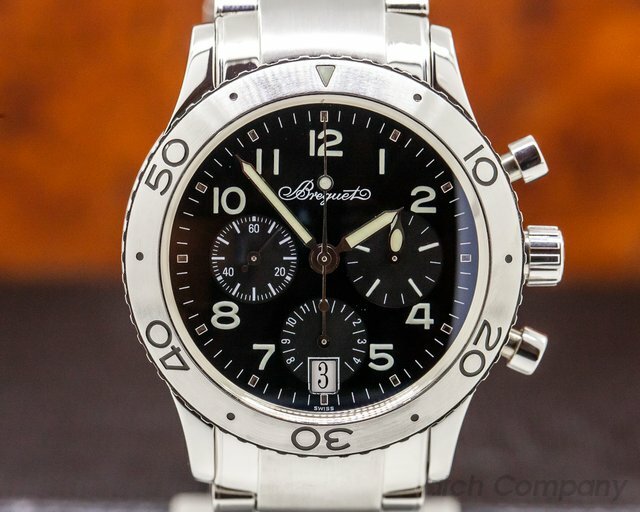 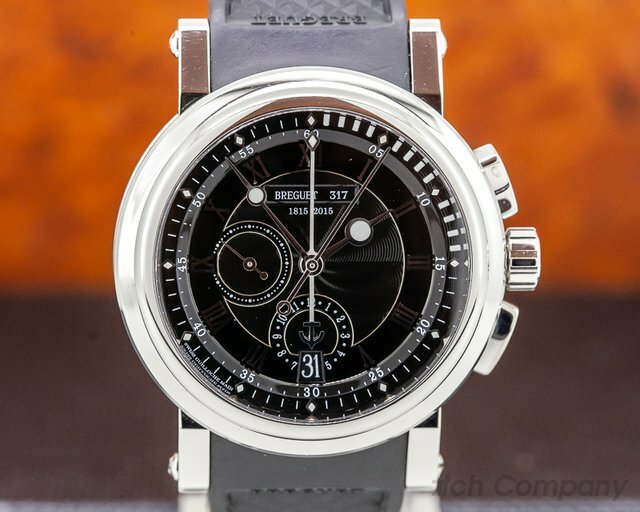 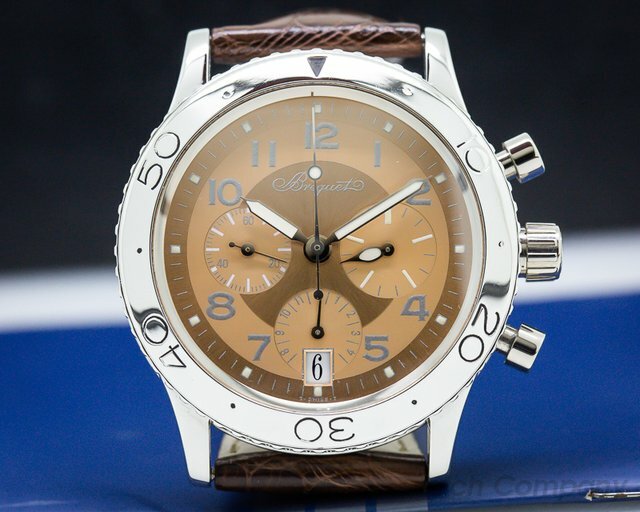 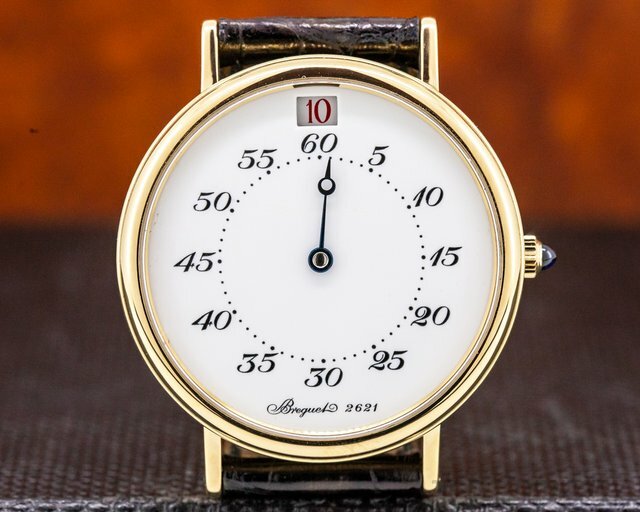 Below is our current in stock inventory of Breguet watches. 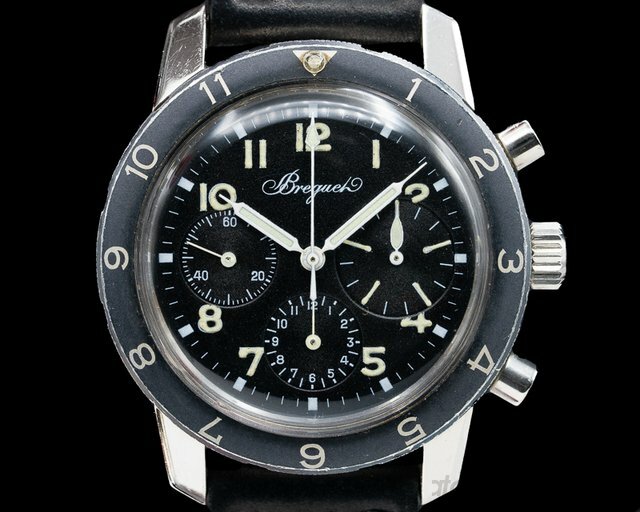 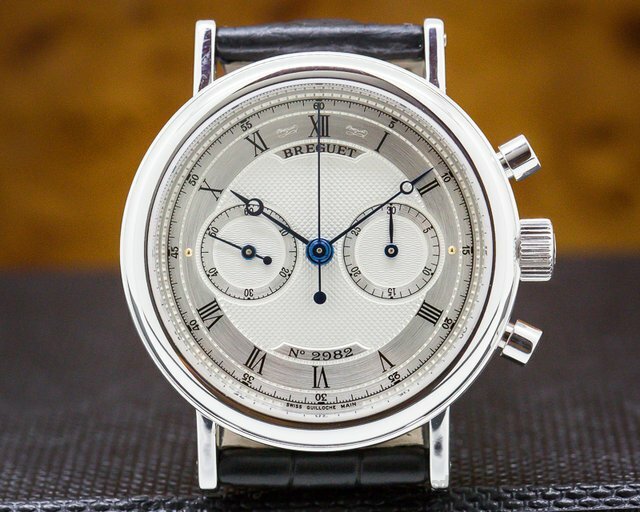 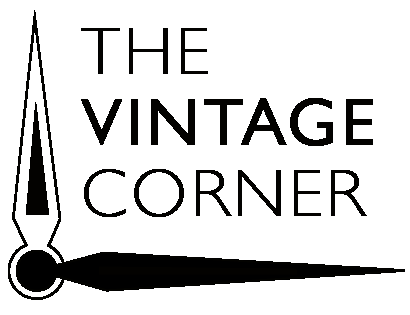 If you have a Breguet watch you are interested in selling or trading please contact us. 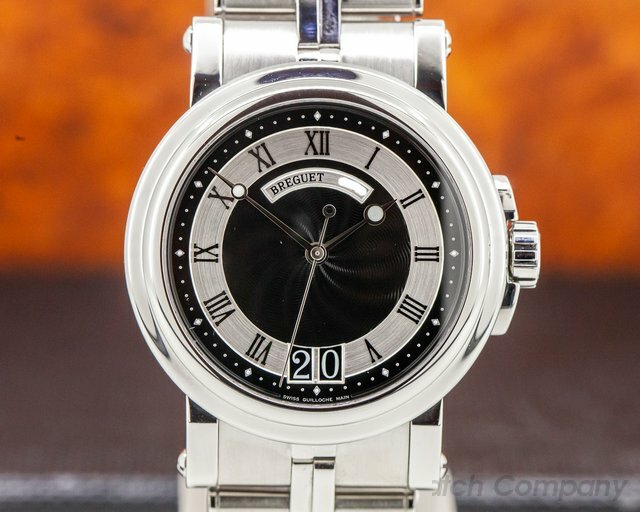 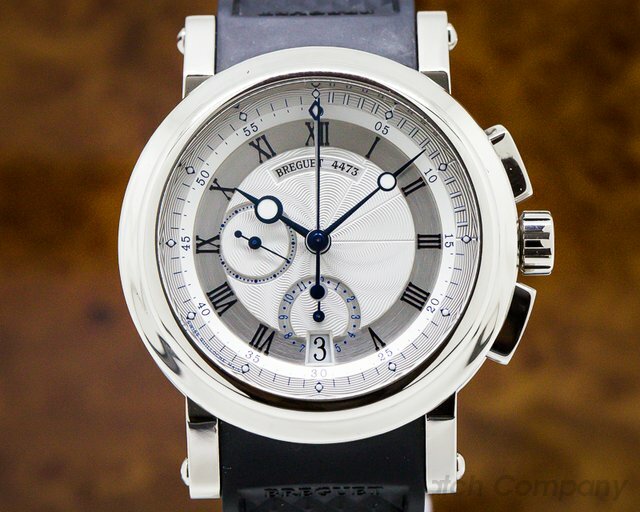 30846 Breguet 5817 ST Marine Big Date 5817ST/92/SMO, 5817ST92SM0, stainless steel on a stainless steel bracelet, automatic Breguet caliber 51766, big date at 6 o'clock, centered sweep seconds hand, black and silver dial with central Guilloche and applied black Roman numerals, luminous hands and hour markers, diameter: 39 mm, thickness: 12 mm, screw down crown, display back, water resistant to 100 meters, Like New with box, additional rubber strap and deploy, and papers which are dated June of 2011. 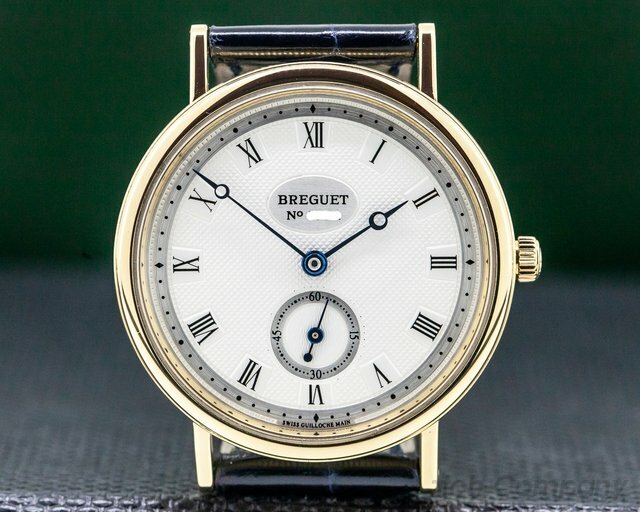 31032 Breguet Classique 3910 BA, 3910BA, 18k Yellow Gold on a Strap With an 18k Yellow Gold Buckle, Manual Wind Movement, Small Seconds Indicator at 6 O'clock, Diameter: 34mm, Thickness: 7mm, Sapphire Crystal, Water Resistant to 100ft, Like New with Box and Papers. 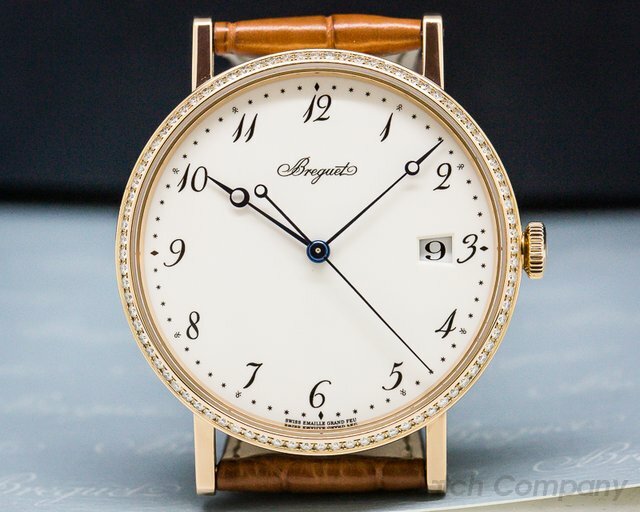 30824 Breguet 5178 BR Classique Automatic, 5178BR/29/9v6, 5178BR299V6, 18k rose gold on a strap with an 18k rose gold buckle, automatic movement, sweep second hand, enamel dial with Breguet numerals, Bezel set with 84 diamonds(approx.0.63 ct.), date at 3 o'colck, power reserve up to 55 hours, display back, size: 38mm, thickness: 8.25mm, sapphire crystal, Like New with Original Box and Papers, dated December 2016.